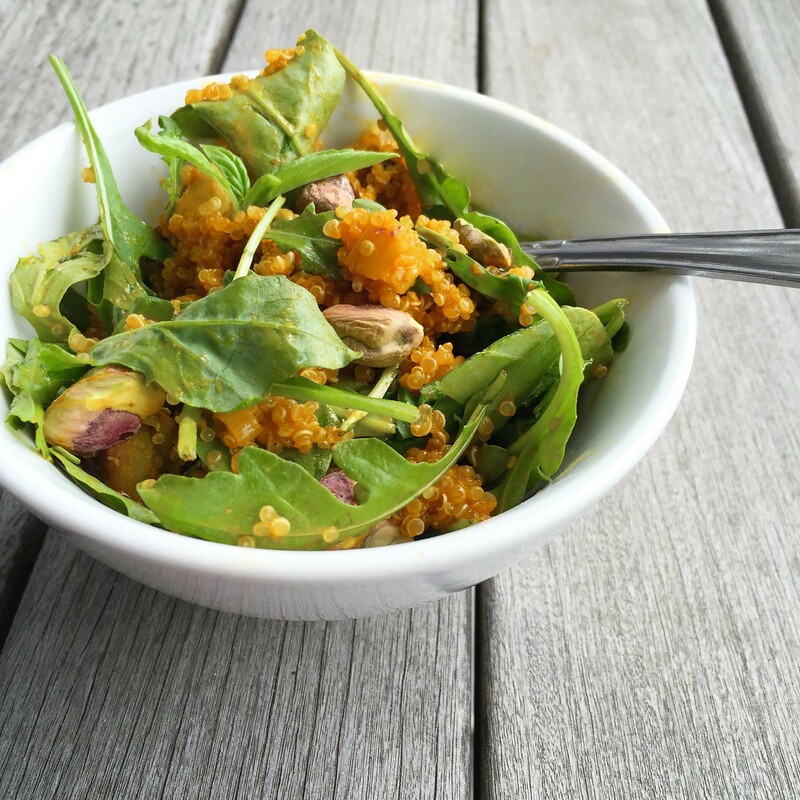 “How can I make quinoa taste good?” I’ve been asked that question a lot! Here’s one answer to that. Use juice as the cooking liquid! Then, to add herbal fragrance, I’ve included fresh basil. For pops of color and crunch—as well as a protein and fiber boost—roasted pistachios are a highlight. A drizzle of extra-virgin olive oil adds a just-right richness to this lovely recipe. While it’s a high-flavored side dish when warm, I prefer to chill this, toss with baby arugula, and serve as a refreshing salad. Add it to your Meatless Monday recipe collection! Hope you enjoy it! Why it’s better for you: You’ll get a punch of superfood nutrients from cooking in juice rather than just water or stock. In a small saucepan, bring the juice just to a boil over high heat. Stir in the quinoa, white part of the scallions, and salt and bring back just to a boil. Reduce heat to medium-low, cover, and simmer until cooked through, about 18 minutes. Stir in the green part of the scallions and olive oil. Remove from heat and let stand covered for 5 minutes to complete the cooking process. Chill. 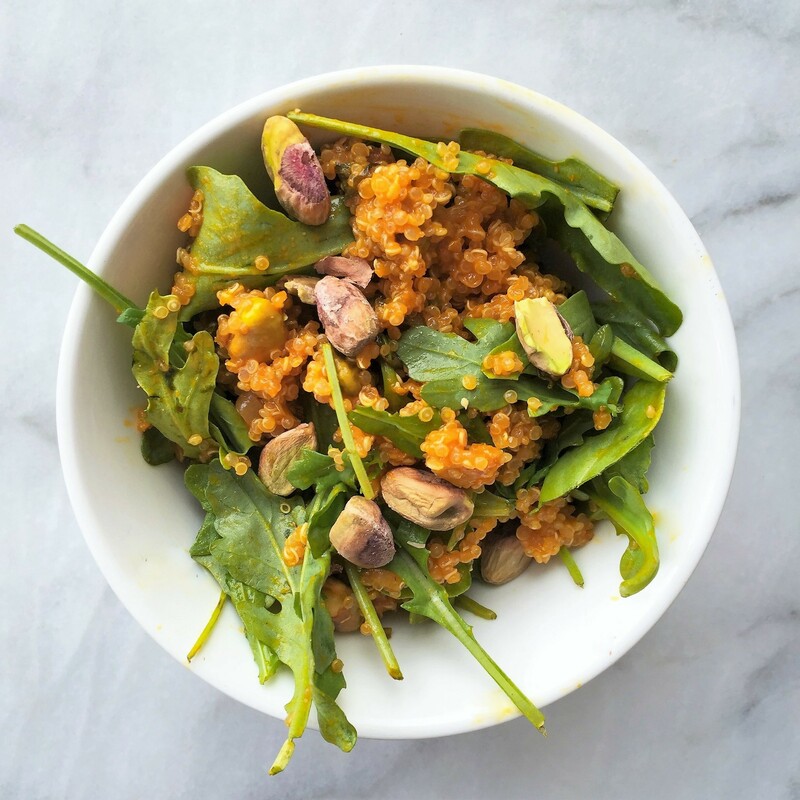 When ready to serve, stir in the basil, pistachios, and arugula. Cook white quinoa in a veggie-fruit juice blend to further boost nutritional value, flavor, and color. 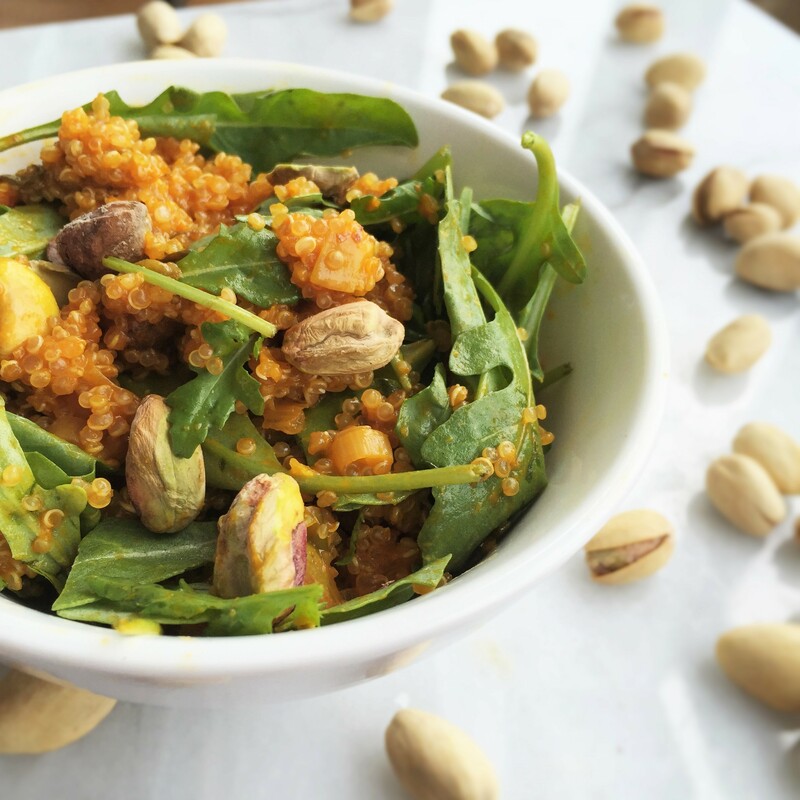 Provide pops of color and crunch, as well as boost fiber and protein, by incorporating pistachios. Add herbal fragrance with fresh basil before serving. Consider it an integral ingredient, not a garnish. Hint: Can’t wait for this to be chilled and served as salad? Enjoy it warm right away without arugula.